A nut is the companion to the bolt, the most commonly utilized fastener in machinery. Commonly a nut comes in one of two standards, metric or SAE and can be measured much like a bolt, via head size thread size and thread pitch. Many applications require special types of nuts, such as nylon locking or ovoid locking (exhaust nuts) so be careful and always buy hardware based on intended use, in addition to sizing. 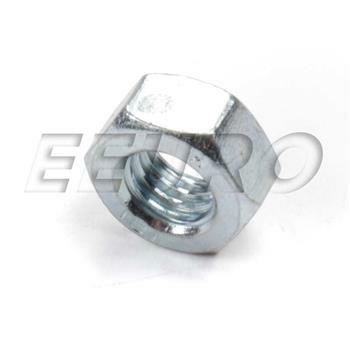 eEuroparts.com specializes in identifying the correct nut for European vehicle applications. Please contact us if you are having difficulty finding the correct hardware for your project, especially when working on engine, drivetrain, and suspension work where correct hardware is crucial. 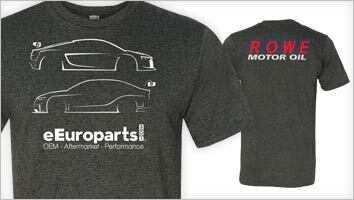 At eEuroparts.com, the term aftermarket is less of a brand and more of a philosophy. Whenever a manufacturer designs and builds their own version of OEM and OES parts, we consider them being built after the car hit the market. When you see a part labeled under the "Aftermarket" namesake, this means the actual brand of the part is shifting and cannot be guaranteed. The quality of these parts should be expected to be on par with OES parts, but luckily for you, at a substantially more cost effective price. This is because we are constantly looking for different aftermarket brands that fulfill our quality benchmarks to put an eEuroparts.com one year warranty on, while featuring a price point that you can agree on. Our aftermarket hardware is US sourced and of the absolute highest quality. We take your safety as well as your vehicle's reliability seriously. You never have to wonder if our hardware is mislabeled. If this is not the exact Nut (8mm) you are looking for, or you would like this part in a brand other than Aftermarket, please contact us and one of our customer service experts will help you locate the exact part you need. eEuroparts.com® proudly offers wholesale prices and fast shipping available on most orders. 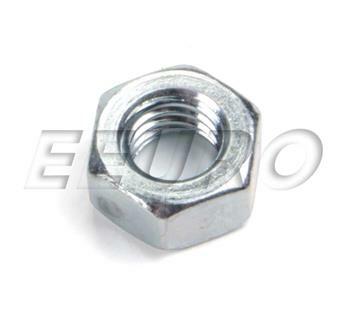 We also provide inexpensive and guaranteed 3 day, 2 day, and Overnight shipping options, so if you need your Nut (8mm) tomorrow, eEuroparts.com® can deliver! Every eEuroparts.com® order is track-able, meaning you'll know exactly where your Nut (8mm) is at every step of the shipping process. eEuroparts.com® also displays your Expected Ship Date and transit time in your Cart, making our entire shipping process simple and transparent.